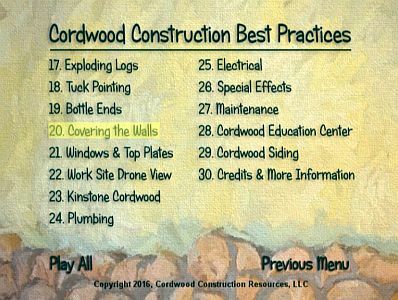 Cordwood lends itself to many types of buildings, including ones that keep a person clean and a dog sheltered. 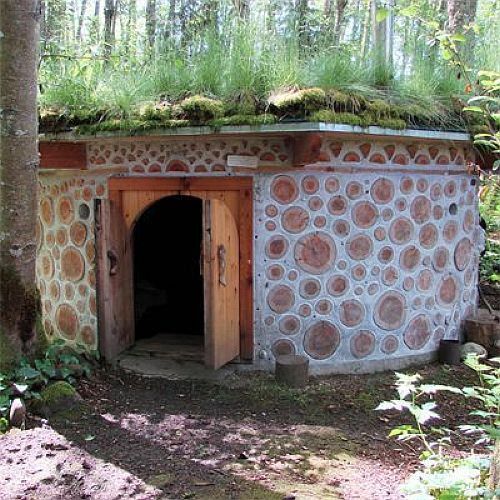 Below is a cordwood sweat lodge in the Pacific Northwest. 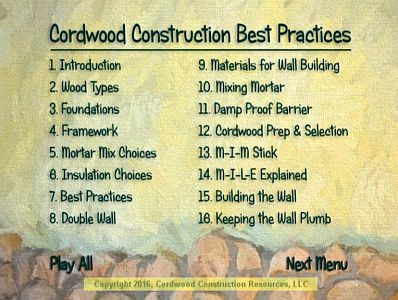 It is built with Western Red Cedar which makes for a beautiful cordwood wall. A tiny sweat lodge/sauna in Montana with a hollow log for light and ventilation. 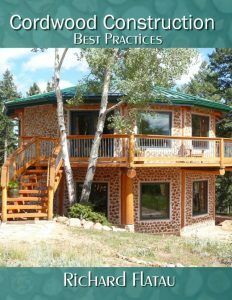 Another sauna bathhouse, sweat lodge in Montana. 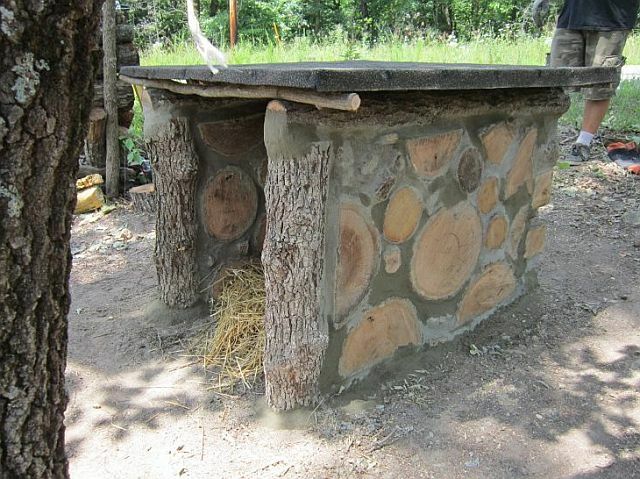 If you add a few windows, the sweat lodge becomes a tiny home. 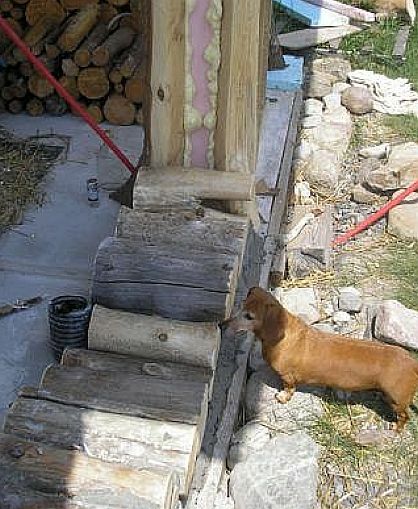 Below are some cordwood dog house ideas for your prized pooch. Tom Huber made his dog comfortable in Michigan (above) and almost mortared his sausage log-dog into the wall in New York. 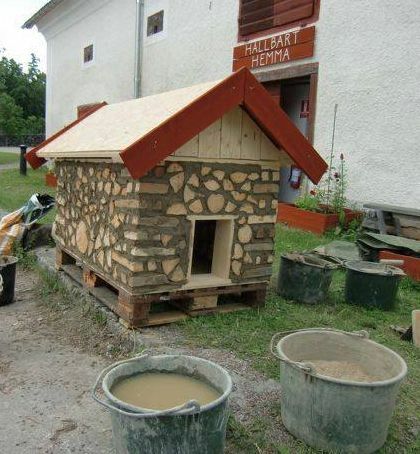 Olle Hagman shared doghouses from Sweden. Note the stackwall corners and the clay mortar. 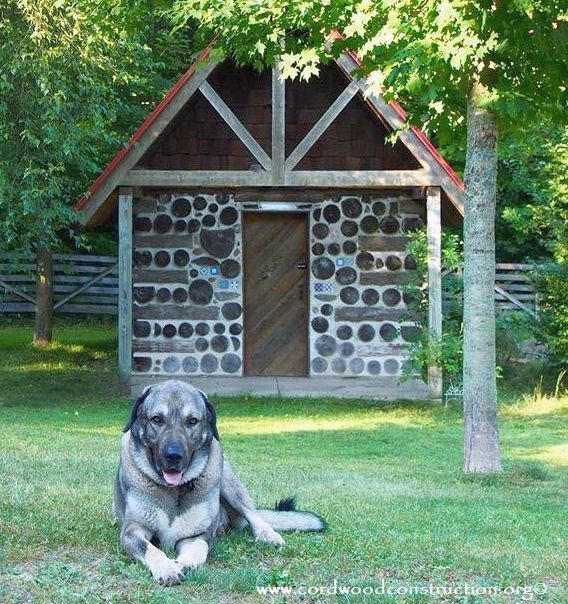 Olle made his dog house moveable by building it on a pallet (above). Tim Halveson of Ohio added some straw for bedding.